Describing the move as in part reflecting OEM certification requirements, Gerber’s parent company the Boyd Group said last week it would again plan on spending 1.6-1.8 percent of sales on capital upgrades — twice the percentage that has traditionally been its ceiling. Boyd spent $7.9 million on IT last year, including “upgrading its management information systems as well as hardware, network and security,” according to the company’s annual report. It also spent $1.1 million on “specialized collision repair equipment related to new vehicle technologies,” the company wrote. In August 2017, the company’s CEO said that the company’s direct repair program insurers had been granting “catch-up pricing adjustments” in part because of the higher capital spending. 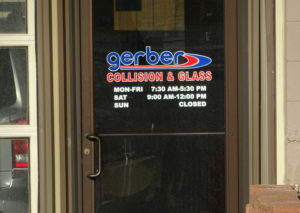 While the $7.9 million on IT seems along the lines of $8-$10 million the company originally anticipated spending, Gerber in March 2017 had planned on shelling out $4-$5 million for collision repair equipment, including “specialty welders and scanning equipment.” The discrepancy wasn’t discussed Wednesday. CEO Brock Bulbuck said Wednesday that “automobiles continue to change rapidly,” resulting in requirements for “new, specialized repair equipment,” and his company planned to spend between 1.6 and 1.8 percent of sales again. The company in 2017 posted “record sales” of $1.6 billion, he said. “These proactive investments will position us to meet anticipated market needs,” Bulbuck said. Bulbuck said he felt the Boyd Group’s large scale (it also owns the Boyd and Assured Automotive chains in Canada) and multilocation model would give it a competitive advantage against single-shop and smaller multi-shop operators. “It is also possible some repairers may choose not to make these investments, and in doing so, contribute to an acceleration of the consolidation of the industry,” Bulbuck said. Asked by an analyst what Boyd had added and what it would add with the capital spending, Bulbuck referred to his 2017 discussion of introducing certain welding equipment but said he didn’t want to disclose other details for competitive reasons. He said information on evolving vehicle technology was publicly available. “For 2018, due to the fast evolving collision repair market, the Company again expects to make cash capital expenditures (excluding those related to acquisition and development of new locations) within the same range that it had guided for 2017,” Boyd wrote in its annual report. Asked if this upgrade was more of a one-off spend in anticipation of future vehicles or if investors should expect this to be the new normal for capex, Bulbuck discussed what he called an increase in the OEM certification trend. Many of those certifications demand specific equipment and training, he said, and added that some of what Boyd discussed in its 2018 capital expenditure guidance was relative to its increased penetration of OEM certifications. Asked if the certification penetration would continue beyond 2018, Bulbuck said the future evolution of vehicle technology remained an unknown and gave the example of rivet guns. “Specialized rivet guns is a requirement that we have visibility in today we didn’t have visibility into 12 months ago,” he said, appearing to put this to and receive agreement from President and Chief Operating Officer Tim O’Day. Whether vehicle technology continued to change at the rate it had over the past two years would dictate how long Gerber’s elevated capital spending would continue, according to Bulbuck. Executive Vice President and Chief Financial Officer Pat Pathipati told an analyst that some smaller collision repairers might be unable to keep up with equipment demands. “That’s going to be good news for large MSOs like us,” he said. Collision repairers, particularly those in Gerber’s 22 states and five Canadian provinces, should consider this a warning to get caught up in 2018 or indeed concede later-model vehicles to Gerber and other properly equipped auto body shops. The alternative of fixing cars without everything called for by the OEM repair procedures is irresponsible, and it risks the shop being embarrassingly outed by a post-repair inspection — or worse, a customer tragedy and a multimillion-dollar lawsuit.